What is Web Hosting Uptime? How to Measure it? What is Web Hosting Uptime in context of Web Hosting Service, is the web server working time without failures. 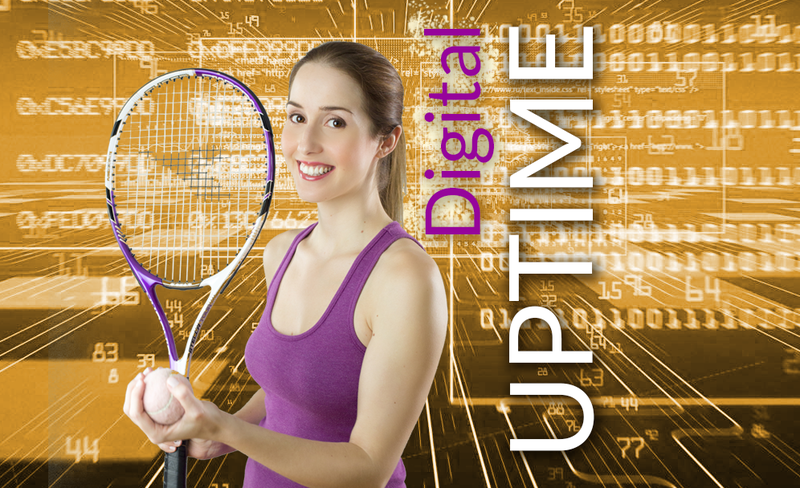 Uptime is important measure, because it indicates web hosting servers and maintenance quality. At same time, other important qualities, like loading time, are objectively measurable What is Web Hosting Uptime? How to Measure it? Uptime in context of Web Hosting Service, is the web server working time without failures. Uptime is important measure, because it indicates web hosting servers and maintenance quality. Your website is working properly and is accessible to the visitors only when your web server is running properly, server is up. Contrary, when your web server is down, your website becomes inaccessible. Web server uptime is mostly measured in percentages, for example 99% or even 99,9%. It may seem great, but 1% downtime is about 7,2 hours per month! Sure, 0,1% downtime is even better, but this is still about 43 minutes on each month. It means that your website is not accessible to visitors and all they can see during downtime is just some kind of error message, which tells that website is inaccessible. However, when website is down, it creates bad publicity for both small and big companies - visitors see the error message, are disappointing and leaving to somewhere else. There is great risk, that they never come back. That is why you should avoid web site hosting providers, which servers are not running properly. Some web hosting service providers are using term "uptime guarantee" in their marketing materials. Some web hosts are promising 99,98% and some even 99.99% uptime. Sure, it may be long term statistics measured over time, but there is also possibility that the actual performance is much worse and this is just marketing fluff. Making uptime promises is really cheapest thing web hosting providers may do and for average customer, it is quite hard to check are they really keeping their promises or not. Some web hosting uptime monitoring services are offering monitoring with 5 minute interval, for example uptimerobot.com and pingdom.com, others like site24x7.com, 100pulse.com, serviceuptime.com, siteuptime.com or internetseer.com have 15-60 minute intervals available as free service. Most of these web hosting uptime monitoring services are also offering upgrades to more sophisticated packages to get more detailed statistics when needed. Web hosting uptime is important parameter, which describes how reliable is your web hosting service provider and how often are their servers down. The higher is uptime percentage, for example 99,99% the better it is. However you should also understand that sometimes it may be important shut servers down for short time to carry routineous maintenance tasks. Best web hosting providers are planning well ahead, sending you notification and scheduling web servers maintenance to the nighttime, when it is at least disrupting. Other web hosting companies are never notifying you ahead and are suffering unplanned server crashes during peak times. For understanding the nature of your server downtime better, you should monitor uptime with simple website monitoring services. Statistics gathered over longer time helps you to ask specific questions (for example refunds from your hosting provider) as well as make more educated decisions in selecting hosting service provider for your website. If you are just planning to start with new web project and need good web hosting for website, see this list of UK hosts we picked based on our long term experience with number of web hosting providers. They all have excellent uptime performance, so you may register and use them with confidence. Your website is working properly and is accessible to the visitors only when your web server is running properly, server is up Contrary, when your web server is down, your website becomes inaccessible Uptime in context of Web Hosting Service, is the web server working time without failures. Uptime is important measure, because it indicates web hosting servers and maintenance quality.